Since leaving Failbetter Games last year, Alexis Kennedy has been popping up in the writing credits for other studios’ games. He wrote a storyline for Stellaris, lore and dialogue for the next Dragon Age, and something unannounced for Telltale. Through it all he has also been working on his own game: Cultist Simulator. We recently interviewed Alexis Kennedy about his father’s death and the influence it had on his work. 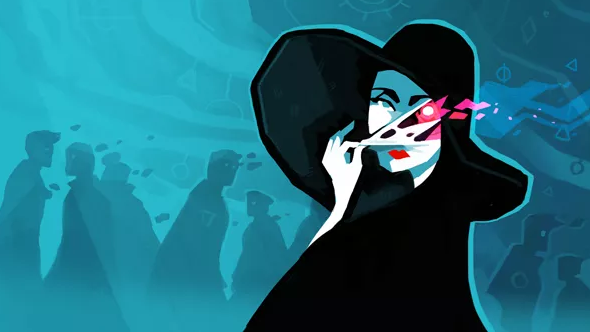 Cultist Simulator puts you in the shoes of a young acolyte looking for a dark master. Like one of the lonely scholars in Lovecraft’s stories, your character will devote themselves to researching old gods and creatures beyond the veil. Your research will lead you to rituals that will let you contact the creatures in a bid to tap into their power. Of course, cultists have to eat and keep a roof over their heads, so you’ll need to balance your occult studies with more base occupations, like work and sleep. Making the most productive use of your limited time is where the challenge of Cultist Simulator will appear. If you’re intrigued by the game you can play a free pre-alpha version. It has bugs, an unfinished UI, and only a fraction of the story, but it introduces you to the systems and ideas at play. The Kickstarter will be launching on September 1.